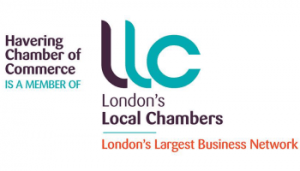 Havering Chamber of Commerce is a lively, forward-looking network of local business people who understand the benefits to be gained by getting out and speaking with others, having opportunities to introduce themselves and their business with people they might not normally meet, in an informal and enjoyable way. To calculate the appropriate rate band for your company add the number of full time staff to half the number of part time staff employed. Submit completed form together with the appropriate remittance fee. Please supply a brief statement explaining your main services and target market. If your company is already a member of any other professional organisation(s) please list here.